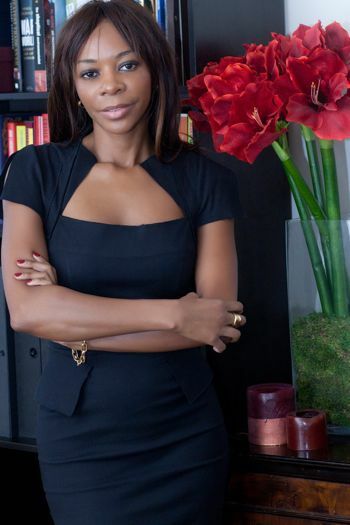 Dambisa Moyo is out with a new book, titled How the West Was Lost: Fifty Years of Economic Folly–and the Stark Choices Ahead, following her bestselling Dead Aid: Why Aid is Not Working and How There is a Better Way For Africa. In the earlier effort, the economist critiqued a well-intentioned but inefficient aid system, and called for celebrities like Bono to quickly remove themselves from the charity ballgame, generally, and to specifically get out of Africa before they do more damage. Moyo’s new book takes the same tone of calling into question well-meaning intentions and pushing us to think about better implementation of policies; she also spends significant real estate detailing how some of America’s most pressing challenges–in education, energy, and health care, for example–are structural issues that need long-term foresight, instead of a quick fix. “This book is very much in the same vein. There’s an overarching umbrella of unintended consequences and good intentions,” Moyo tells Fast Company. In that regard, Obama’s State of the Union speech could not have come at a better time. Last night he touched on just about every theme that Moyo explores–debt, competition, technology, clean energy, to name a few–but the most significant and shared theme between the two boils down to innovation. Zambia-born, Moyo’s thoughts on American competitiveness echo those of popular American sentiment–that Americans have a special disposition, one that makes them extremely resilient and innovative in times of crisis. While concerns are raised about the demoralization of Americans, as they watch other countries grow and prosper, Moyo is quick to say that she doesn’t think the American public is that quick to lose hope. “Americans in particular are renowned for bouncing back. We’ve seen this time and time again and that is in part the purpose of my book–a call against complacency. Things are going to get much better,” says Moyo. So what do China, India, and “the rest” have on us anyway? Moyo cites Skype and Google as examples when talking about the United States’s current top position on the innovation ladder, but she’s concerned about a struggling research and development (R&D) sector and the low marks of American children in math and science–and how those two trends stack them up against counterparts in other countries. “There are criticisms about Chinese eduction and although there are critiques, we are seeing improvements in education in China. They are making significant strides.” This is the same concern that researchers, policy-makers, and scholars have been raising for the past couple of years. Throughout the speech Obama pointed to ways the U.S. can be more competitive, such as allowing immigrants to stay on longer and contribute to domestic innovations. “Let’s stop expelling talented, responsible young people who can staff our research labs, start new businesses, and further enrich this nation,” he said, referring to illegal immigrants. The U.S. faces critical challenges at the moment–debt and competition are just two–but if Obama and Moyo have anything to do with it, America will be flying into the next great period of innovation aggressively in the coming years. Unless, of course, China, India and “the rest” lure away all our innovators.